Recently it has been so difficult for startups to attract investment, promote products, and gain huge success. Today such giants as Apple, Facebook, and Google possess the market. Having the largest market capitalization and managing the most popular development platforms and social networks, they establish and manage the rules. In these circumstances, startups face challenges related to competing with big rivals. Otherwise, they have to take a small niche (in most cases). The potential way to bypass all the obstacles is crypto tokens. By enabling the creation of open decentralized networks, tokens help both startups and independent developers build projects and attract money. But what do crypto tokens actually mean? Crypto tokens represent a completely new approach to create open networks that combine users, investors, mobile and web developers, and service providers. What’s more, they incentivize network members to work together toward a common goal (project development and growth). Tokens appeared as a result of cryptocurrency movement that started from Bitcoin birth in 2009. The foundation of Ethereum Blockchain platform, introduced by Vitalik Buterin in 2014, only accelerated this movement, increasing interest to crypto tokens, cryptocurrency projects, and token development. Speaking about open network design, crypto tokens offer the model for developing shared computing resources, that include databases, file storages, etc. As the entire system is based on Blockchain technology, the control over all resources is decentralized. Also, with tokens developers get the ability to determine a protocol as well as fund operating costs necessary for hosting it as a service. There are a lot of purposes and use cases token networks are designed for, including distributed computing platforms, prediction and financial markets, content creation networks, advertising networks, and so on. Moreover, with crypto tokens, it’s possible to correct an imbalance in the distribution of financial rewards among network participants. Historically, creators of such important foundational technologies as protocols have sat on the sidelines, while companies that developed their successful apps and projects using these technologies, got huge profit. Crypto tokens can change this situation as protocol developers have a way to be rewarded for the success of their tools and technologies, as here financial rewards are distributed according to efforts and value made by each member. Bitcoin represents both a cryptocurrency and digital peer-to-peer payment system, introduced by Satoshi Nakamoto built on Blockchain decentralized technology. 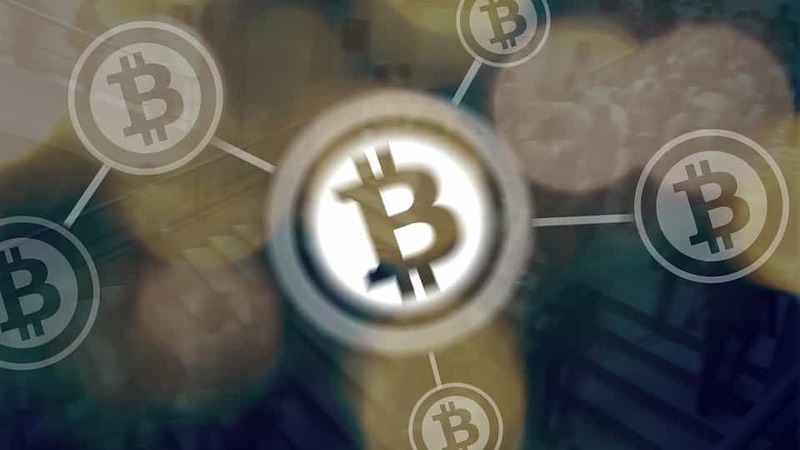 Since it allows to avoid banking restrictions and works without central authorities and intermediaries, Bitcoin brought innovativeness to a financial industry. Bitcoin has open source code, so its architecture is “visible” all over the world. No one owns or controls Bitcoin, but everyone can become a network participant. Ethereum is an open-source distributed computing platform, that allows to run smart contracts. Introduced in 2014 and launched in 2015, it became the first major non-Bitcoin token network. The “core” of Ethereum Blockchain network is ether (ETH), a corresponding token that can be traded on cryptocurrency exchanges and used to make payments for transaction fees and compensation of participant nodes for completed computations. To some extent being an addition to Blockchain innovative technology, Ethereum provides developers with the ability to create their own applications that live on the network, and new token networks – to launch on top of the entire network by using an ERC20 token standard. Bitcoin and Ethereum have multiple servers, called miners, that run their networks. They cover the hosting operating expenses with embedded mechanisms that automatically distribute token rewards to computers on the network. Today a lot of attention and interest is paid to token pre-sales, called Initial Public Offering, or simply ICO, by analogy with Initial Public Offering (IPO). ICO is the fundraising tool for the project to create a new digital currency, providing it with the initial investment, marketing budget, and first customers. You can think of this model as a hybrid between a crowdfunding Kickstarter campaign and a stock market flotation, that suits best for cryptocurrency projects and Blockchain startups. In several words, developers make an ICO campaign by issuing crypto tokens on the Blockchain (generally Ethereum Blockchain network or Bitcoin), providing investors with a chance to acquire tokens in exchange for a digital currency. Investors can look through ICO projects and make donations to those they are interested in. ICO is a totally new way for cryptocurrency startups to capitalize themselves and successfully overcome a “bootstrap problem”, referred to the today’s market rule that the product becomes really desired and popular only when it reaches a critical mass of users. Thus, startups need huge marketing capabilities and large budgets for promotion and receiving income from their cryptocurrency projects. Learn more about ICO fundraising tool and the most successful ICO projects. For now, crypto tokens are one of the main tech trends. With them the technology world will open the doors to great opportunities, helping cryptocurrency startups and independent developers with little money get success.